Our recent blogs on Strategy & Dieting have generated fine feedback - thanks everyone! Today I’d like to continue in the same vein. Developing and deploying strategy entails hundreds or even thousands of decisions in a given year. Start by simplifying the chess board. Eliminate trivial, marginal, unnecessary and wasteful activities and factors. In Chess, if you’re up a pawn on a full chessboard, a sure path to victory is to gradually simplify. Eventually, your pawn and King face the opponent’s King, and victory is close. Simplification in business serves the same purpose – the essentials stand out in sharp relief. We can begin to focus. In our wired world, simplification is counter-intuitive. If we remove stuff from our chessboard, if we clean up our various ‘screens’, we feel we’re missing something. An excellent start is to reflect and confirm our Purpose. What are we trying to achieve? What’s our Shining City on the Hill? Define Purpose with drawings, dashboards, words and music if need be. Purpose clear as crystal eases simplification. 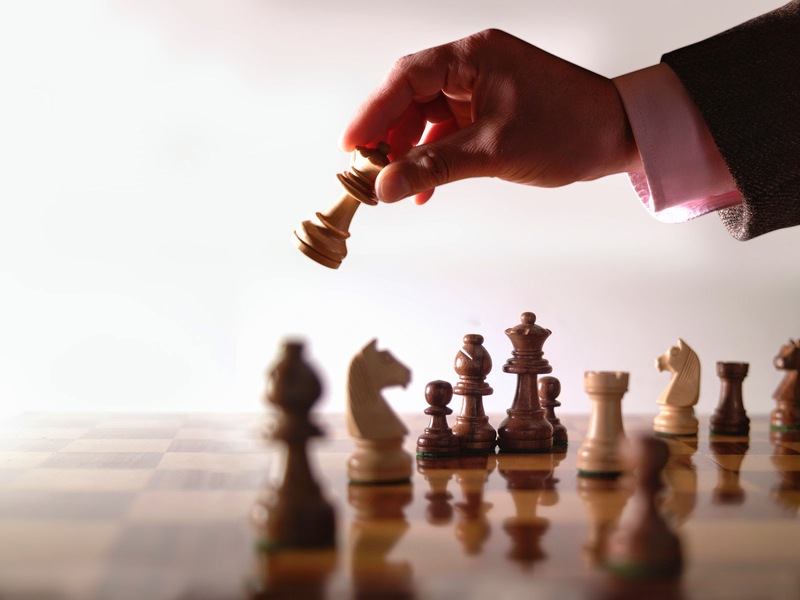 In Chess, purpose is clear – checkmate the opponent’s King! We have to make our business Purpose as clear, and then communicate it gently, engagingly and repeatedly.